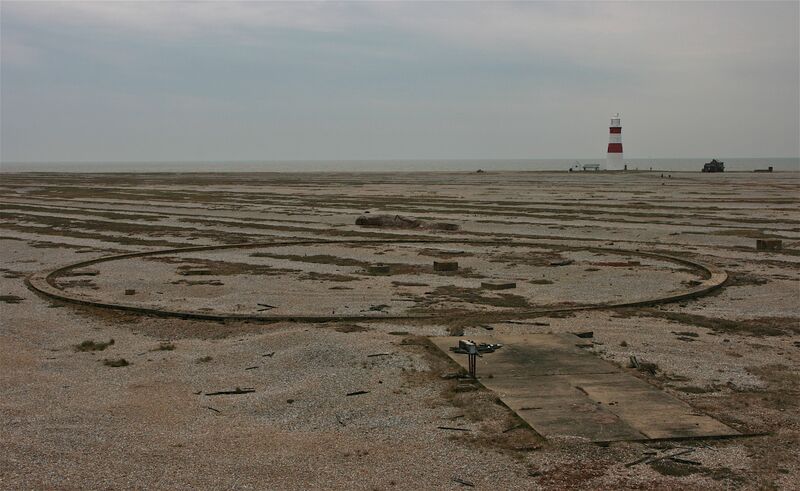 Twelve miles long and up to two miles wide, Orford Ness is a desert – a vast shingle spit lying just off the Suffolk coast. 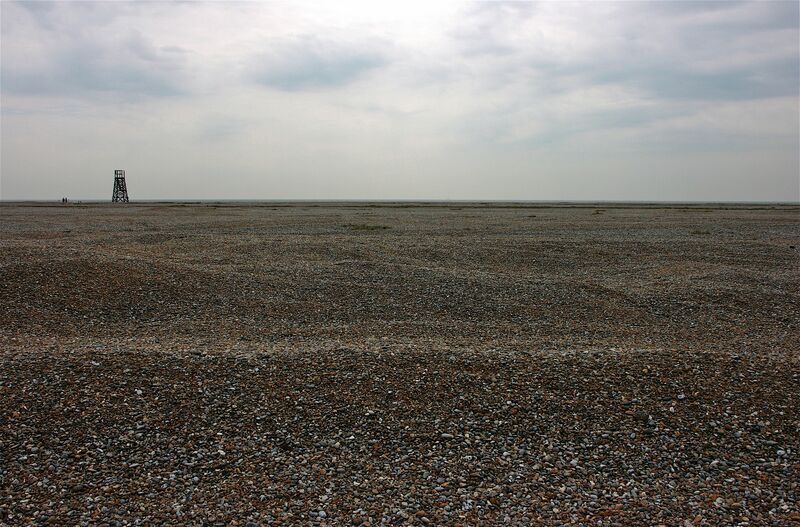 One of a series of similar landforms along the coastlines of Norfolk, Suffolk and Essex, Orford Ness was – and still is – created by the ceaseless action of tides, currents and seasonal storms, its undulating ridges of shingle marking the passing of time. 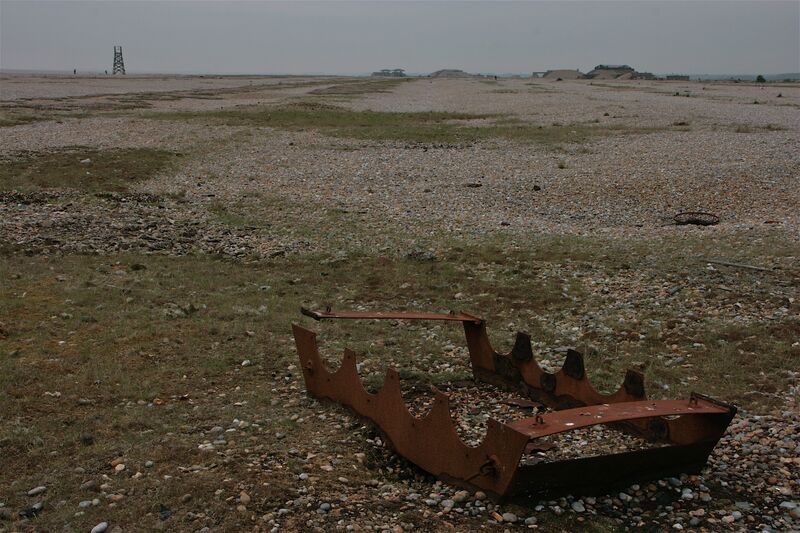 Accessible only by boat across the river from the picturesque village of Orford, the Ness is as bleak a place as one can imagine – devoid of shelter, battered by winds, and where the only animate objects are hares, birds and the sea wind. 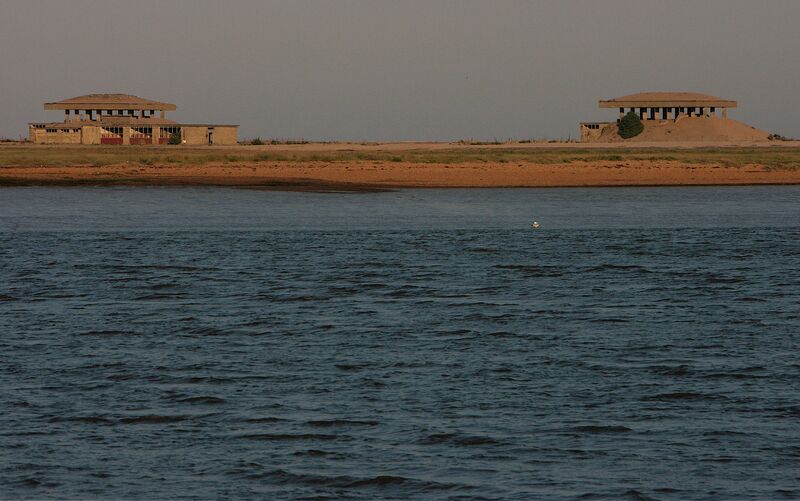 From the First World War until 1993, Orford Ness was owned by Ministry of Defence and, for 70 years, was the site of intense military experimentation. 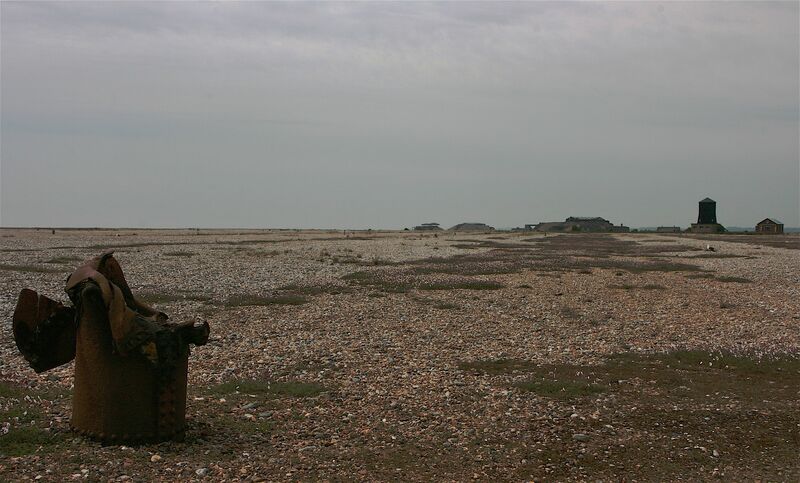 During this period, activities on the Ness were subject to complete secrecy: for the inhabitants of Orford, it was like a foreign land, the stark but oddly beautiful military structures the only indicators of its sinister provenance. 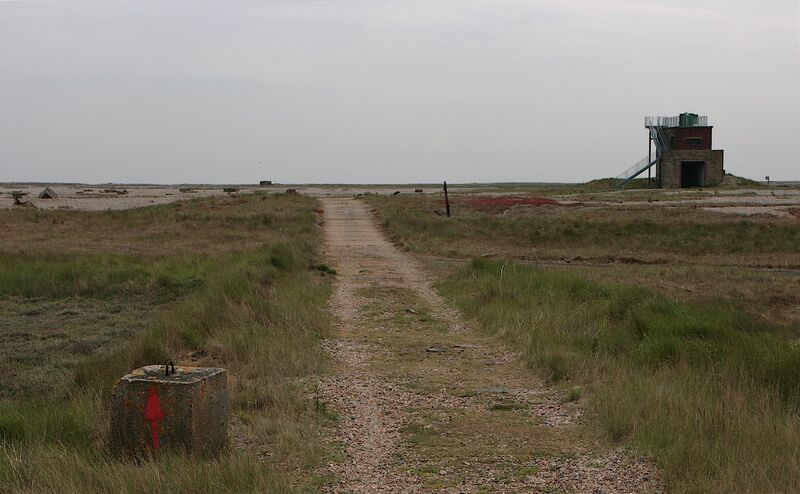 Now owned by the National Trust, and opened to the public in 1995, its series of coloured trails delineate a small area where it is safe to wander – for the vast shingle banks are littered with unexploded ordnance and other military objects, strewn across the landscape like obscure clues to an unknown riddle. Here, ‘lethality and vulnerability’ trials were carried out: aeroplanes were lined up and shot to pieces with rifles to ruthlessly expose their weaknesses; and, in half-submerged bunkers nearby, detonation devices for Atomic bombs were tested with extremes of vibration, temperature and other shocks. 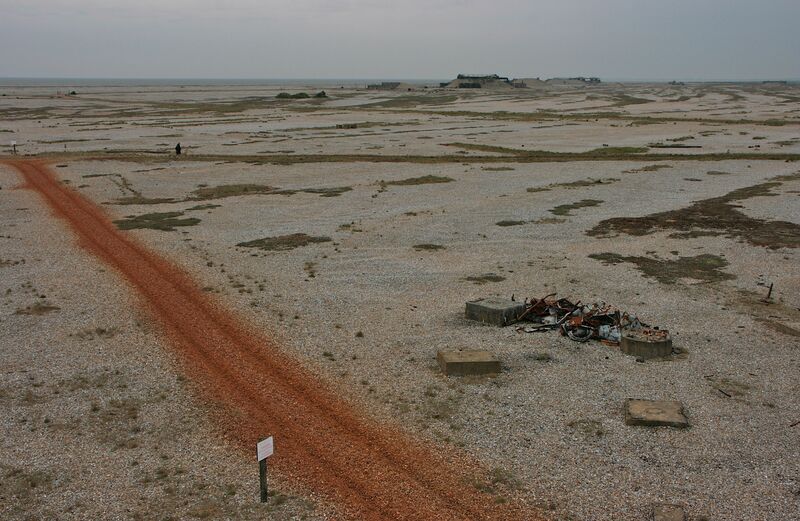 From the top of a building known as ‘The Barracks’ – used to photograph the trials carried out on the site – the vast extent of the Ness becomes clear, as do more inexplicable forms: huge shingle-covered bunkers; the off-limits ‘pagodas’, part of the Atomic weapons site; a vast circle inscribed on the shingle; and, all around, almost motionless and hunkering down in the wind, birds of all kinds – gulls, plovers, avocets, redshank. Very gradually, the site is being reclaimed by the National Trust and the birds, but it’s hard to imagine them ever taming its bleakness. The almost overpowering sense of melancholy is generated not by any past human tragedy but by the senseless absurdity of its function as a vast arena for the systematic torture of objects. In a kind of surreal irony, objects of destruction were themselves destroyed in the game of real and imagined warfare. If we are moved by the suffering of people, can we not also be moved by the suffering of objects?